When it comes to wealth creation in America, there is one term you need to know—The Accredited Investor. If you don’t know what an accredited investor is or whether you meet the requirements to qualify as one, read our breakdown. 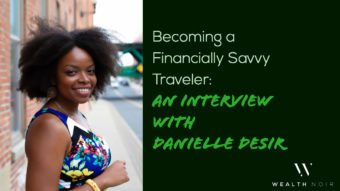 It’s important to understand the basics of being accredited as you progress in your wealth journey and begin striving for the higher levels of wealth-building. 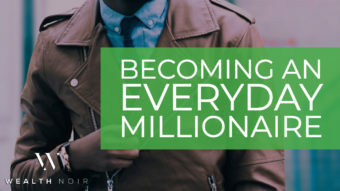 In essence, if you have $1 million in net worth (not including your home), or make $200k as an individual or $300k as a couple, you are an accredited investor. Once you become an accredited investor, you are allowed to make certain investments that non-accredited investors can’t. I’ve recently realized how few people have heard of being accredited … even if they qualify as an accredited investor. 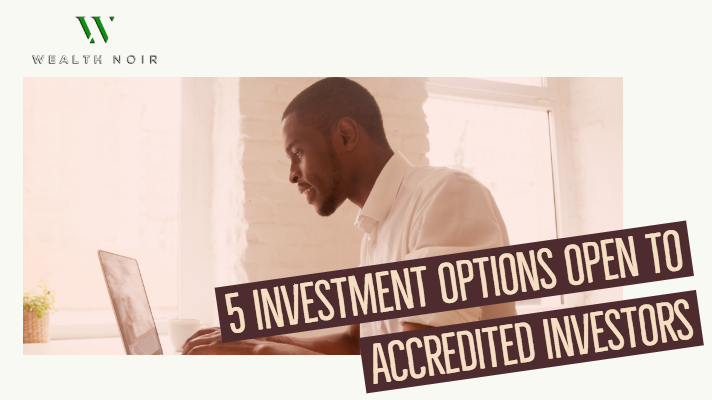 Becoming accredited isn’t a magical status which will guarantee you riches, but it does significantly increase the types of investments you can make. It unlocks a new set of asset classes with their own new risk and reward profiles. Generally, investments for accredited investors are higher risk and higher reward. When chosen carefully as part of a diversified portfolio, they can increase your return with a moderate increase in risk. But understand that higher risk means a higher chance of losing all or most of your investment when compared to index funds and ETFs (something everyone should have in their portfolio). 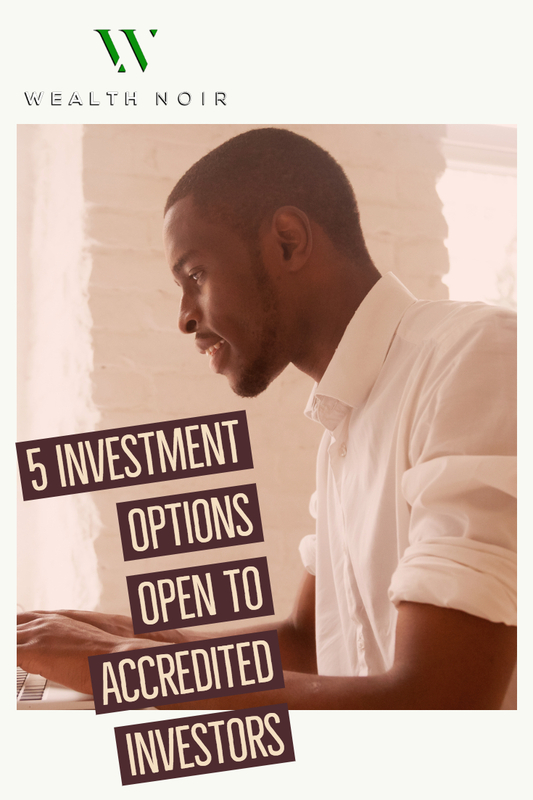 Below are some different types of investments every accredited investor should be aware of. Pick the ones that match your interest and expertise. Now is an exciting time as the JOBS act of 2012 has opened the door for more forms of investments that are easier to access. 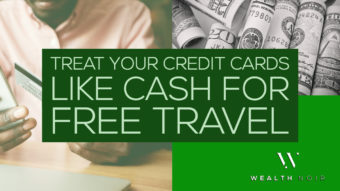 But, as with all investment decisions, you should consult a licensed financial professional about these investment options to understand the risks in regard to your personal financial situation. We’re here to provide you with the knowledge. 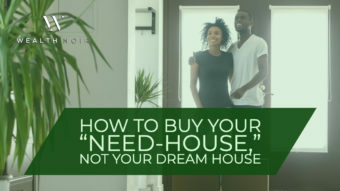 If you are interested in investing in real estate, but the idea of owning your own property scares you too much (even though I love it and have created a lot of wealth this way), it’s now easier than ever to own a partial stake in commercial real estate deals or invest in a fund focused on commercial deals. With the JOBs act, marketing these types of investments became possible and the market has responded with several platforms that vet, structure and provide investors with information on a variety of jointly funded real estate deals. 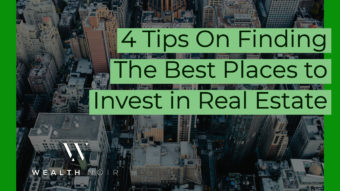 For real estate investors like myself, with a strong understanding of deals, their various forms, and deal structures, there is increased deal flow and new investments vehicles awaiting. 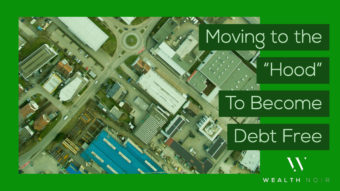 You can own part of the mortgage (debt) of a large-scale shopping mall (lower risk and lower return) or invest in a local fix and flipper looking to sell equity in an upcoming project (high risk and higher return). 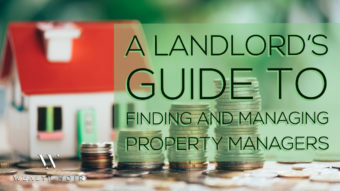 There is a mix of risk profiles, expected returns, and property types. 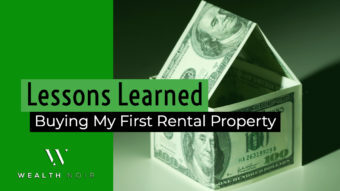 I personally haven’t yet made my first crowdfunded real estate investment, but I’ve been looking into the various platforms and putting together a plan so I can start aggressively. 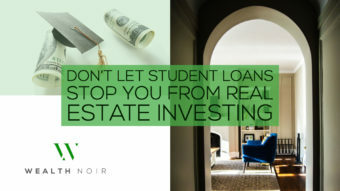 As a huge fan of using real estate to build wealth, I’m excited about investing alongside experienced commercial operators and diversifying my investing across the U.S.
Business headlines, especially tech, are filled with news of companies and startups raising multi-million dollar rounds of new capital. And, you may have heard about the fortunes made (and lost) by individual angel investors or venture capital firms investing early in companies. The most well-known example is the TV show, Shark Tank. On the show a group of successful entrepreneurs invest their own money in early stage companies-with varying degrees of success. Well, again with the magic of the JOBS act, it is now possible to invest in private companies for part-ownership. This isn’t Kickstarter, where you get a product or a thank you for contributing money. These platforms allow you to invest and share in the eventual success or failure of a company. Now, there are a slew of platforms allowing startups and private companies to raise money from individuals in exchange for part ownership of a company. Most platforms allow you to invest in professionally managed venture capital funds or choose individual companies to invest in. Both options with lower investment minimums than the traditionally available. 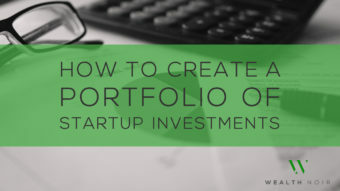 Instead of the $100k minimums usually expected, $15k to $25k can now make you an investor. There are both accredited and non-accredited options with different rules and funding limits. 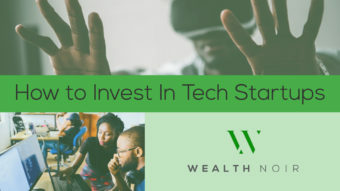 If you have expertise in a particular industry, see a trend you want to invest in, or are committed to building the skills needed to pick companies, this could be a good vehicle for you to build wealth. Venture Capital and Private Equity funds aim to create a return by investing in companies and helping them grow in valuation. They typically make money when a company is sold or goes public with an IPO. The key difference between venture capital and private equity lies in when the money is invested and the work the fund does to increase the company’s value. 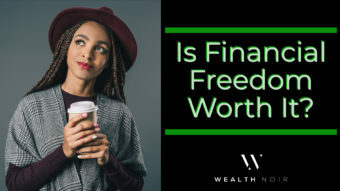 Check Out: Is Financial Freedom Worth It? Venture capital are the funds used when you hear about a startup raising $100 million Series B round. They tend to focus on early-stage tech companies. Funds are generally raised with a ten year expected life and focus on long-term returns. Funds may have a specific strategy or may just be based on the strength of the partners to pick winners. Only a small percentage of companies are expected to really make a return, but a big hit (think Facebook, Google, or LinkedIn) can return 1,000% of the initial investment and make enough profit to pay for all of the companies that lost money. VC firms often take board seats and help founders through their connections and with guidance. Private equity usually works with later stage companies and will often take a very hands-on approach in turning a company around and increasing it’s valuation. For example, they may buy an entire public company, take them private, and install their own leadership team to replace the CEO and executive board in order to fix the company. They may also break the company into smaller pieces and sell off all the assets for a profit. A single deal can take years and a lot of people and capital, but the returns to investors can be significant if they do it right. The TV show “The Profit” shows this on a much smaller scale, as Marcus Lemonis invests his own money, takes control and tries to turn businesses around. Hedge funds are professionally managed funds, like ETFs or mutual funds, but face significantly less regulation in how they invest their capital. This allows them to invest in more complicated deals or asset classes compared to other funds. The ability to invest in these alternative investments and use advanced investment strategies (shorts, options, derivatives, etc.) changes the risk and reward profiles of these funds compared to more popular ETFs and mutual funds. Hedge funds can be very expensive in terms of fees when compared to normal ETFs and mutual funds but are in line with other funds available to accredited investors. Hedge funds allow you to invest in a particular money manager you like or a fund following a specific investment thesis you find appealing. This can allow you to take part in an investment strategy you personally don’t have the time or expertise to execute on your own. Personally, I have invested in one hedge fund, Third Square Investments. A personal friend from business school is the founder and invited me to join. One notable part of my hedge fund experience has been the amount of time and effort put into investor relations. 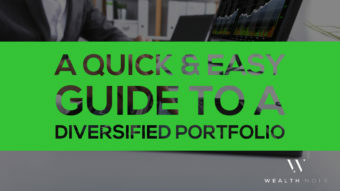 I get details explaining every new position the fund enters, changes in opinion on the market and conditions, and investor calls where we can ask direct questions. It’s a small position in my overall portfolio, but I’m happy with the returns and enjoy the experience. This is the only hedge fund I’ve worked with, so your experience and results may vary. And don’t be surprised to see hedge funds with minimum investments of $100,000 or $250,000. Since working with accredited investors allows a fund manager to try new things and minimize several costs, there are plenty of funds investing in alternative assets or with strategies that move them outside the definition of hedge, venture capital, and private equity. Crypto funds, a relatively new creation, invest in various cryptocurrencies and crypto assets. One I’ve heard about recently is Coinbase’s Cryptocurrency Index fund, along with many many other cryptocurrency funds. I’ve talked before about my love of Coinbase as a crypto exchange because they are well funded, well run, focused on compliance with US regulations, and insure your money. So, while the fund itself is very simplistic in its strategy (they just hold a pool of 4 currencies), I like them as a company. If you search, you may come across a variety of niche and specialty investment funds, although I haven’t found a good database of such funds. If you are serious about building wealth, understanding the world of accredited investing is important. Spend the time to maximize what’s available to you and make the right investing decisions. Did we miss an investment that you’re a fan of? 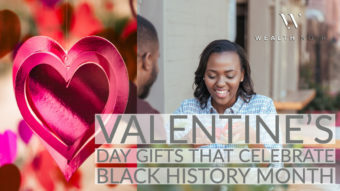 Leave us a comment and share with the community. Love your articles! This is a great starting point for further research and investment ideas. How did you complete the “experience” portion of becoming an accredited investor? Do you have any recommendations for apprenticeships or jobs to gain investor experience?